[0:00] <fluffet> Do I need a 3.3v -> 5v logic shifter? [0:02] <fluffet> for the strip, if i don't have a solderer, how do i plug the first one in? [0:08] <fluffet> do you need a breakout board? [0:08] <fluffet> what is this Perma-Proto stuff then? [0:13] * Xark notes many other vendors have "perma-proto" boards (but Adafruit ones are very nice and high quality). [0:16] <Xark> ThePendulum: From Adafruit? They have a bunch of sizes...(from ones that fit in mint tin for full breadboard size). [0:17] <Xark> ThePendulum: Yeah. Pretty much the same as the tinyiest breadboards (a few holes shorter, but has bus lines - so a wash). [0:18] * Xark got a bunch of free Adafruit perma-proto boards as they tend to give one away for orders over $50 (or something like that). [0:18] <fluffet> what can you do with them? [0:21] <fluffet> looks cool man, but vertical video?! [0:23] <ThePendulum> in the dark? [0:23] <fluffet> do i need 4? [0:23] <ThePendulum> fluffet: only 3? [0:24] <JakeSays> i installed jessie-lite, but now i need X. what do i need to install to get it? [0:25] <fluffet> which cable length is optimal? [0:44] <ThePendulum> does anyone have the neopixel library installed and a strip hooked up? [1:06] <Lep2> how many A is the external Berg ? [1:07] <Lep2> i found a 300 mah 5V one, that should be good? [1:48] <Lep2> What power suply do you guys use for the pi? [1:49] <fluffet> seaking: your username/password doesnt work? [1:50] <seaking> does the username for ssh auth need to be host or guest? [1:52] <seaking> ok, so i changed my username for ssh auth to "pi" and now i am wondering what this means :D "Failed to bind on local port." [1:56] <tommy``> which is the best portable monitor for pi2 ? [1:59] <seaking> exonormal, so.. you could with hdmi control the pi? [2:00] <seaking> exonormal, that sounds awesome, do you have a link where one can read more about it? [2:00] <tommy``> which are most good project to test on pi2 ? [2:05] <fluffet> you'd only use the screen to display a terminal right? [2:06] <tommy``> seaking, need a wifi antenna right? [2:06] <seaking> to spy on peoples broadcasting devices? [2:07] <fluffet> i thought wardriving was just mapping networks? [2:07] <fluffet> not actually hacking? [2:10] <fluffet> you only need to use another device when you want to fetch the data. doesn't have to be a laptop. [2:17] <seaking> exonormal hi again :) it would be very nice with a like to the post that is " prolly the pi site, in forums, upper right in search box key in video to a laptop"
[2:19] <exonormal> seaking: huh? you want me to find it for you? [2:44] <seaking> cheers exonormal, this is a very good guide! [2:47] <wireddd> so you can you boot a rasberry pi 2 b directly from usb without an sd card at all? [2:48] <Xark> MarconM: I believe "raspi-config" controls that option. [2:48] <Xark> MarconM: Well, you have to edit config.txt file by hand then I believe. [2:49] <Xark> wireddd: I don't believe so. [2:52] <wireddd> samsung 64gb evo micro sdxc card ok? [3:12] <exonormal> 1. WHAT SIZE SD CARD DO I NEED? [3:12] <exonormal> 2. WHAT SIZE SD CARD CAN IT SUPPORT? [3:15] <exonormal> so, to be safe, use 16gb.... you can go up to 32gb but it would be wasteful if the card don't work..
[3:17] <exonormal> never had a crash or a freeze. [3:17] <Xark> I think 32GB generally works (as mentioned above). I fine "sweet spot" is 16GB SanDisk Ultra (for not too expensive and nice performance and reliability). [3:25] <ziesemer> Actually, mine aren't the "Evo+", just "Evo". [3:26] <ziesemer> Do we know what the rating of the Pi's are? Does 48 vs. 80mb/s even make any difference to it? [3:30] <ziesemer> Is the SD interface on the USB bus? [3:33] <ziesemer> Huh - 2 additional references with varying thoughts: https://www.reddit.com/r/raspberry_pi/comments/2ur3y4/does_the_pi2_gain_any_advantage_from_ultra/ , http://elinux.org/RPi_SD_cards#SD_card_performance . [3:34] <hxcjoshuahxc> so raspbian + kodi or raspbmc(osmc)? [3:48] <brianx> Xark: the serial console worked. i had to re-image to a current copy of raspbian. the one i was using was rather old but had been updated to jessie and was fully up to date sometime mid november. [3:49] <brianx> Xark: currently i have the zero connected to the network via nothing more than a phone charge/data cable. [3:49] <Xark> brianx: Ah. Well, that would explain it. [3:51] <brianx> Xark: doesn't explain it to me, i used that sd card because it was working well, tested thoroughly. [3:51] <Xark> ziesemer: RPi2 does help a little bit (but not too dramatic). [3:51] <brianx> Xark: yeah, my next goal is to boot without an sd card at all. just a $5 pi and a $0.50 phone charge/data cable. [3:52] <Xark> I think the update process has some "flaws" (at least getting a fresh image seems to help a fair number of people). [3:52] <Xark> brianx: Interesting. Any links on doing that? [3:55] <brianx> it was an accidental find. wasn't even looking for it. [4:10] <thevaz> Hi all, I recently purchased a RPi B 2 and want to make sure I have a good power supply. I have a 10.5W/2.1A USB Wall Charger as well as a 5V/2A Samsung wall charger. [4:10] <thevaz> Which would be better to use? Will be setting it up with RetroPie. [4:11] <exonormal> do you have a voltmeter handy? [4:11] <thevaz> Negative. I'm not very savvy in the realm of power. [4:11] <thevaz> I just worry about surging it. [4:11] <Xark> thevaz: I suspect both will work (unless some extra hungry USB peripheral). [4:12] <thevaz> It'll be a USB game controller, temporarily a USB kb/mouse and a wifi adapter. [4:12] <Xark> WiFi probably okay, USB HDD no-go (likely). [4:12] <thevaz> Nah. Have a 32GB MicroSD with it, which should handle all the ROMs. [4:13] <Xark> thevaz: If it is high quality (I tend to agree with exonormal, use Samsung one), it should be fine. [4:15] <thevaz> Awesome. Thank you all very much for the help. [4:15] <thevaz> The other one is a rocketfish, fwiw. [4:17] <thevaz> Glad I mentioned them then. Haha. [4:19] <thevaz> Not something I have on standby. I have RJ45 testers, and such. But no voltmeter. I'm sure a guy in the shop at work would though. What would I need to check? [4:23] <thevaz> I purchased a new cable... dynex. I honestly own 0 devices that use Micro USB. [4:27] <thevaz> That is the rocketfish charger. [4:27] <thevaz> Thanks again exonormal and Xark. I really appreciate the help. [4:30] <thevaz> I shall. I already have RetroPie downloaded, a bunch of ROMs downloaded, the controller, etc. Just waiting on the Pi, SD, and case to get here tomorrow. [4:37] <thevaz> Yeah. I just got the 1GB RAM board and the tontec transparent case. And then a SanDisk 32GB card for it. [4:37] <thevaz> I've been wanting one for a while now. Was given a gift card to Amazon with nothing to really spend it on so I decided to pull the trigger. [4:37] <exonormal> so you got the pi B-@? [4:38] <exonormal> so you got the pi B-2? [5:03] <thevaz> Could it technically boot Tails? [5:10] <thevaz> Nope. Tails doesn't work on ARM. Only x86. [5:11] <exonormal> how about Paws? [5:12] <Fahrradkette> anybody here who has experience with the MMA8451Q accelerometer? [5:23] <Idkidks> Hey guys! Does anyone have any time to answer a quick question on OS's? [5:23] <exonormal> what you looking for? [5:24] <Idkidks> Is there a ubuntu 15 version that runs on Armv7? [5:24] <Idkidks> Do you have the name? [5:25] <Idkidks> Ah so it just works on Mate for now? [5:27] <Idkidks> the "Mate" part of it? [5:34] <Fahrradkette> does the python GPIO.wait_for_edge(channel, GPIO.RISING) function allways get executed or could it be that it might be "forgotten" due to cpu load? [5:46] <Fahrradkette> pypi.python.org says "Note that this module is unsuitable for real-time or timing critical applications"
[5:46] <Fahrradkette> does that mean it might forget a rising or falling edge? [5:47] <Fahrradkette> or does it just mean my callback code might be executed "sometime in the future"
[5:51] <Fahrradkette> like, is there a guarantee that the callback code gets executed at all? [6:14] <Fahrradkette> so he's EU based, too? [6:20] <seaking> hi again, does anyone know a "clean" vnc (open source aka trusted) server/viewer for RPi/Linux ? [6:25] <seaking> hmm Berg, isn't tightvnc for windows(m$) ? [6:28] <exonormal> you must know niston, eh? [6:29] <Berg> he's living in sin now? [6:29] <seaking> how can code be clean if it trapped? if you are hiding your code there might be a reason, ether you think you are the worlds best programmer (which might NOT be the case) or you are just simply trying to hide the code because (again) you don't think other people are able to create same such code, or .... your are hiding unhealthy strings of code..
[6:30] <Berg> what dose ikr mean? [6:31] <Berg> its like you asking b ecause you dont know right? [6:33] <Berg> by the way what OS you using? [6:33] <Berg> why ask here then? [6:36] <seaking> what is iceweasel really? [6:37] <engblom> gordonDrogon: When you say digitalWriteByte () will take two operations to write the value, does that mean it writes the first 4 bits first and then the second 4 bits? [7:28] <Batigirl_Chini> Pls, alguien sabe como cambiar la ruta del OWNCLOUD / RASPBERRY a un disco externo ? [7:51] <Batigirl_Chini> Pls, anyone know how is possible to change the path of OWNCLOUD / RASPBERRY to external disk ? [7:52] <Batigirl_Chini> Pls, anyone know how is possible to change the path of OWNCLOUD / RASPBERRY to external disk ? [8:21] <AiGreek> 'Morning guys ! [8:21] <Berg> is there any no guys here? [8:23] <Berg> is there any non guys here? [9:31] <NahUndFern> Raspi 2 B is the newest model, right? [9:34] <baldengineer> Just curious, why does newest matter? [9:35] <NahUndFern> Is it not recommended to buy from Amazon? I'm looking at one of the wiki pages and it seems to be mentioning the main manufacturers. baldengineer, It doesn't. [9:35] <baldengineer> you're buying from a 3rd party that is selling through amazon. [9:36] <baldengineer> pay attention to who the seller is, on the product page. [9:37] <tommy``> guys i got a pi2 as gift, how can i assure it's original? [9:37] <Xark> tommy``: I am not aware of any passable clones. [9:37] <Xark> tommy``: If it can run the official distro, it is good. [9:38] <baldengineer> tommy`` are you having an issue with it? [9:38] <NahUndFern> Can i run Arch Linux on it? [9:39] <RaptorZee> hey does anyone here know if i can use tasker to call macros on webiopi? [9:39] <baldengineer> NahUndFern isn't that a distro optimized for x64? [9:39] <Xark> There is Arch for RPi. Mostly it is hard to recommend unless you like fixing stuff (but it is "light"). [9:40] <Xark> Jessie is pretty nice on RPi2 (and there is light if you want minimal installed programs). [9:41] <baldengineer> curious, why do you want that versus the popular debain stuff? [9:44] <NahUndFern> Also, does anyone have experience with newark? [9:47] <NahUndFern> I'm a little confused about the differences between the model B and B+. Are there any significant differences between the two? [9:55] <baldengineer> actually spoke to a youtube rep. she asked why I don't post every day, or at best, every week. [9:55] <baldengineer> I said "well, it takes over 100 hours to animate an episode after I write the script." she responded "oh. you don't just shoot it?" [9:56] <baldengineer> but. sincerely, appreciate the recognition. [10:12] <NahUndFern> Is it okay to buy a blank SD card and add the ISO myself? [10:14] <Xark> NahUndFern: It is "low risk" (and if you mess it up, you can try again). [10:14] <NahUndFern> Xark, Just like a burning to a USB stick? [10:15] <NahUndFern> The places it recommended aren't in the same country, so shipping would cost a lot more. [10:15] <Xark> NahUndFern: Pretty much. From windows you generally use Win32DiskImager (reasonably easy GUI program) and from Linux "dd" (not as friendly, but not rocket science eitehr). [10:16] <Xark> NahUndFern: Well, then you are set. :) You dd the "img" file to the raw device and it sets up all the partitions etc. [10:19] * baldengineer goes to burn my SSD. hey, why'd it amount? [10:20] <Bayrefoot> After I got my card all set up with the apps and remote desktop working and all, I made a backup image if it in case it gets corrupted I can recreate it on a new card. Something to consider. [10:22] <Bayrefoot> I believe in backups. [10:22] <NahUndFern> When the wiki warns you that there have been problems from buying off amazon, because of out of date SD cards, and it says to make sure the SD card is up to date (i don't know much about SD cards). Does it mean the OS? [10:22] <baldengineer> NahUndFern you've brought this up already. link? [10:23] <Bayrefoot> The cards do wear out but Idk how long they last. Depends on how many writes. [10:25] <NahUndFern> baldengineer, Earlier on all i said was "<NahUndFern> Is it not recommended to buy from Amazon? I'm looking at one of the wiki pages and it seems to be mentioning the main manufacturers. [10:27] <pyroxide> apparently my beefy hdmi cable that i got with my asus monitor was bad. [10:28] <NahUndFern> I know the wiki is talking about the SD cards. I only mentioned the SD card when asking about the warning, not the pi. [10:28] <MY123> now, even advertising is coming on "intelligent TVs"
[10:29] <baldengineer> you still use channels? [10:29] * Xark likes dumb monitors and computers that you still (believe) you control. [10:32] <Xark> Hmm, even Netflix ditched Silverlight I thought. [10:33] <NahUndFern> This is probably subjective, but how much memory on an SD card would you guys recommend for a Pi? Is 16GiB okay? [10:34] <Xark> Armand: Yeah, not sure if it is supported there (not enough DRM). [10:34] <Armand> Ahh... Draconian Rights Management. [10:34] <Xark> I only use Chromecast or PS4 lately (but mostly I don't watch TV). [10:34] <Armand> Xark: Android + Chromecast here. [10:35] <Xark> I find it a bit creepy that latest Netflix for Android requires microphone privileges (not updating). [10:35] <Armand> MY123: Someone should be shot for that. [10:36] <Armand> MY123: I don't mind installing "non-free", if that's what it takes. [10:37] <Xark> Chillum: It is something like that. At least voice control. [10:40] <NahUndFern> Would http://www.amazon.com/SanDisk-Extreme-microSDHC-Adapter-SDSQXNE-016G-GN6MA/dp/B013CP5F90/ref=sr_1_10?ie=UTF8&qid=1451467858&sr=8-10&keywords=raspberry+pi+SD+card be compatible and okay for the pi 2 model B? [10:41] <tommy``> guys the cheapest wifi antenna for pi2? [10:42] <tommy``> MY123 what's that? [11:06] <Chillum> You're a towel! [12:30] <Encrypt> ollow server room, lights blin king, never sleeping. We know that you are ready and waiting. Join us. <3 HTTP/1.0" 400 172 "-" "-"
[12:33] <_jamesl> How to remove ALSA? I tried suad aptitude remove alsa but got an error, what is the package name? [13:08] <gagalicious> how can i use raspberry pi 2 like a thin client?what's the easiest way? i already have a ubuntu tftpserver set up. how can i pxeboot raspberry pi? does anyone know? [14:18] <pyroxide> skype client for arm linux? [14:23] <pyroxide> tox doesn't use the skype network, though, does it? [14:25] <seaking> i think you will find a good skype solution by googling "skype client for arm linux"
[14:44] <ali1234> "Warning: You should also never plug this into a USB-A receptacle 'female' port, only a USB plug 'male' style device." [15:34] <t3chguy> I have one, should I try it? [15:34] <ali1234> t3chguy: you're working on DWC device mode right? [15:35] <t3chguy> lol you mean like docking the in essentially? [15:41] <ali1234> cheaper than pimoroni? 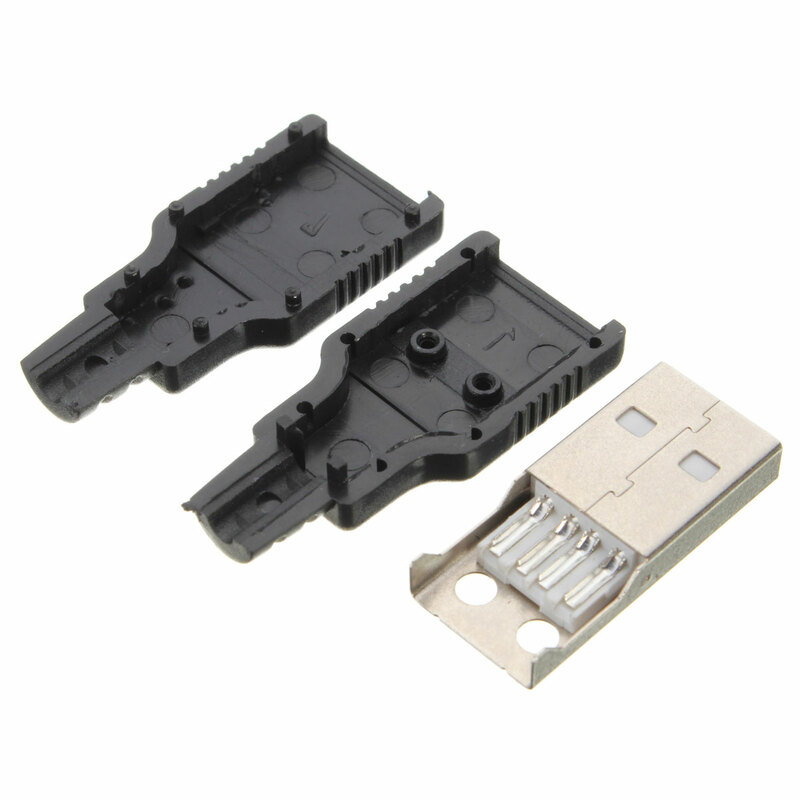 [15:44] <SirLagz> t3chguy: http://www.ebay.co.uk/itm/New-Micro-USB-2-0-Male-Host-to-USB-Female-OTG-Adapter-Converter-Android-Tablet-/161360039596?hash=item2591ceceac:g:X7cAAOSwd4tTuzUv <-- this sorta thing? [15:45] <t3chguy> but with no "CABLE"
[15:46] <SirLagz> http://www.dx.com/p/usb-to-micro-usb-adapter-58818 <-- this ? [15:53] <SirLagz> I'll get a Zero eventually. [15:53] <SirLagz> I want to make a 'scan to file' button for my wireless MFD. [15:55] <Tenkawa> how well has the zero been holding up to heat so far out there? [15:55] <Tenkawa> any reports good or bad? [15:58] <t3chguy> doesn't mean you should! [16:01] <t3chguy> are those ASIC Miners lol? [16:02] <Armand> Building USB hubs == fun! [16:19] <Zackio> is there a program where i can have a pi, connected over wifi, and plugged into HDMI, act as a second monitor for my computer? [16:19] <Zackio> welp, time to research! [17:58] <fluffet> but i think root account is disabled by default? [17:59] <t3chguy> fragmint: you seen its USB Gadget functionality? [18:01] <fragmint> so with 8 of them you can get the same specs and performance as something like an MTK at twice the price and 10x the power consumption? [18:04] <fragmint> were those the ones that had the compute module on a ram stick? [18:04] <myself> fragmint: for warming it up in the microwave, be sure to add a cup of water as an absorber so the excess microwaves have somewhere to go, it'll make it less likely to burn out your magnetron trying. [18:07] <ziesemer> The Zero is a "minimalist" Pi. Pretty much the same chipset and such - but I believe just 1 USB port, no network port, etc. [18:08] <tommy``> is there here someone with Kali on macos? [18:09] <fragmint> are they all arm1176? [18:17] <fragmint> do these have hardware FPU? [18:19] <brianx> is this a 2b fragmint? [18:20] <brianx> raspberry pi 2 b. the quad core with 1gb ram. [18:21] <brianx> the zero will run anything the classic pis will run. there's a variant of fedora called pidora, but it's dated. [18:21] <brianx> tbh, i've mostly been focusing on getting networking to work on the zero so far. [18:22] <fragmint> is that chromeos? [18:23] <brianx> wait a little longer and maybe the pine64 will actually become reality. looks pretty promising. [18:24] <fragmint> a17 pi or something? [18:24] <brianx> not sure what chip it uses. it's a kickstarter still. [18:25] <brianx> not a raspberry at all though. [18:34] <fragmint> ewww, does Raspbian load a UK keymap by default or did I misclick in the setup? [18:35] <brianx> easy enough to change. i would assume UK is default. [18:36] <brianx> raspi-config lets you fix it. been awhile since i've set up raspbian with a head. [18:46] <brianx> fragmint: you can also tweak the throttling setting if you want. i noticed mine defaulted to not upping the cpu frequency until load was over 50% for a bit. [18:50] <Tenkawa> Any of you tried an actual emmc module on a pi2? [18:52] <brianx> Tenkawa: how would you hook up emmc? [18:54] <brianx> how would that help then? 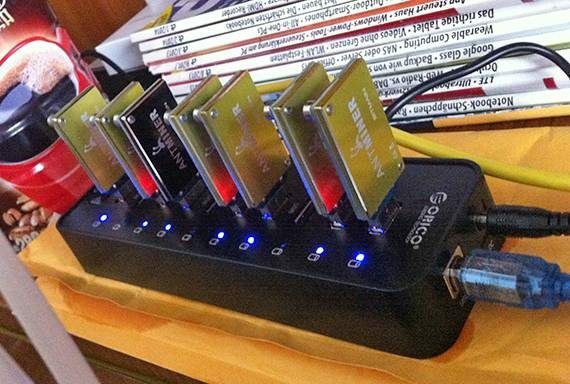 usb 2.0 would be a bottleneck, woudn't it? [18:55] <brianx> how would latency improve with all the overhead of usb? [18:57] <brianx> no clue, my inclination is to assume no. [18:57] <gagalicious> how do i increase the number of desktops in my raspberry pi? [18:57] <fragmint> whats that exynos board from korea that lets you add emmc? [18:58] <Tenkawa> anyone know the pin numbers by memory to hook up serial console to a pi 2? [19:00] <gordonDrogon> Tenkawa, physical, or bcm pin numbers? [19:04] <gordonDrogon> to infinity... beyond? [19:05] <gagalicious> how do i increase the number of virtual desktops in my raspberry pi? [19:06] <t3chguy> gagalicious: what Desktop Environment are you running? [19:07] <gagalicious> i dunno what's the DE of it. how to find out? [19:10] <gagalicious> so how do i increase the number of workspace / virtual desktops in lightdm? [19:11] <gagalicious> is this channel fpr hacking raspberry pi? [19:20] <fluffet> what is a ceramic heater in regards to a soldering stick? [19:20] <fluffet> does that mean it's heated via som sort of thing you attach? [19:20] <t3chguy> fluffet: soldering "STICK"
[19:20] <fluffet> i call it what i want! [19:21] <fluffet> what are they called then!? soldering iron?? [19:24] <fragmint> who makes an 8a 5v adapter? [19:26] <fragmint> isn't it bad to run them without load resistors on the unused lines? 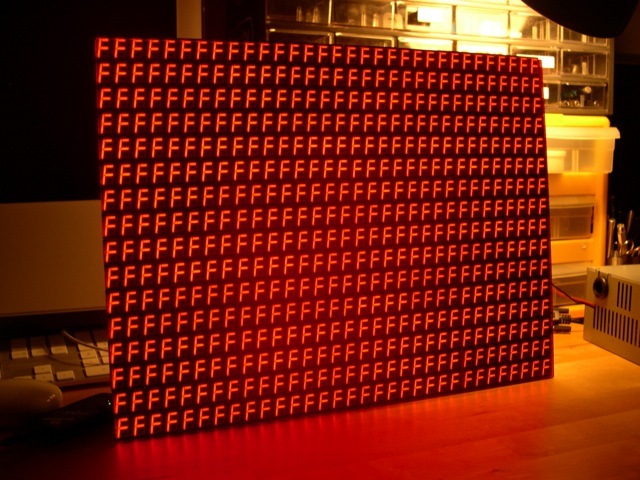 [19:26] <fluffet> well, i'm going to need a lot of ampere to drive 3m of led strips right? [19:26] <fluffet> or will 4A be enough for 3 meters? [19:37] <fragmint> there can be only one solution... another pi running ZNC for IRC-Redundancy! [19:47] <gagalicious> how much can i overclock rpi 2 safely? [19:49] <gagalicious> what's the default password for rpi 2 jessie os? [19:49] <gagalicious> t3chguy: ok. thanks. [19:49] <Tenkawa> its on the wiki page isnt it? [19:49] <gagalicious> pi is not the pi password. [19:50] <t3chguy> the username is "pi"
[19:50] <t3chguy> password is "raspberry"
[19:52] <gagalicious> what kind of cool things u can run raspberry pi with? [19:52] <gagalicious> node.js doesnt seem so slow on an RPI though i heard. [19:54] <gagalicious> i always wonder if rpi2 is slow coz of the sdcard or just slow cozit'sslow? [19:54] <[Saint]> gagalicious: PLEASE tell me you're being humorous. [19:54] <[Saint]> If you're not, you need to seriously rethink what you think a raspi is, or what it achieves. [19:55] <[Saint]> you'll never see transfer speeds like that on a pi. [19:55] <[Saint]> never never never. [19:55] <gagalicious> [Saint]: is that a lot to ask for? 2xUSB power and the rest... it's great for a 64bit server. i can run NAS/webserver etc. anything! [19:55] <exonormal> well maybe do update and upgrade on that pi? [19:55] <[Saint]> gagalicious: yes, it is. [19:55] <[Saint]> especially if you want it at the same price. [19:56] <gagalicious> [Saint]: what's the realistic speed i'll be looking at with 90mb/s card? [19:56] <gagalicious> electronic stuffs are supposed to drop in prices over time. [19:56] <Tenkawa> gagalicious: 64 bit? [19:56] <[Saint]> It doesn't even support UHS. [19:56] <gagalicious> it's called moore's law. [19:56] <[Saint]> We've been approaching that limit where moore's law falls over for years my man. [19:56] <[Saint]> we're pretty much there already. [19:57] <gagalicious> Tenkawa: why not 64 bit? [19:57] <[Saint]> gagalicious: I highly suspect that ~30MB/s was mismeasured by improperly flushing caches. [19:57] <[Saint]> you were probably just measuring RAM. [19:58] <[Saint]> and even so, you'd have been measuring contiguous reads and writes, which the system will almost never do. [19:58] <gagalicious> anyway, it's slow. raspbian jessie... seemed faster than the previous raspbian i've used. a little faster. [19:58] <[Saint]> So you'll never see speeds like that in real use. [19:58] <[Saint]> Bulk contiguous IO almost never happens in everyday use. [19:59] <[Saint]> There's boards that have everything you wan tthat exist already. [19:59] <[Saint]> you just have to be prepared to pay more than $35 for them. [19:59] <Tenkawa> [Saint]: mysql test runs can be "interesting"
[20:00] <[Saint]> Tenkawa: postgres is better on pi, but, not by much. Especially for multi-user-access dbs. [20:00] <Tenkawa> indeed.. could you imagine trying to run oracle rdbms? [20:00] <[Saint]> gagalicious: you'd be better off buying something that runs a mainline debian. [20:01] <gagalicious> i really like running it with 5W usb cables. [20:01] <gagalicious> it's really "cool" literally. [20:02] <gagalicious> SpeedEvil: what wallplug is that? [20:02] <[Saint]> Tenkawa: do you hate youself THAT much? [20:02] <gagalicious> SpeedEvil: is there a name for your motherboard? imean a brand of the pc? [20:03] <[Saint]> ARM just isn't ready for mainstream server deployment. [20:03] <[Saint]> I wish it was. [20:03] <gagalicious> 22W for a 54W cpu? [20:03] <fragmint> didn't fujitsu deploy mips servers? [20:04] <[Saint]> fragmint: like ARM now, I guess. [20:04] <SpeedEvil> gagalicious: what do you mean. [20:04] <fragmint> wait, wasn't all of SGI's old stuff mips? [20:05] <[Saint]> Just as we're approaching widespread ARM deployment, some idiot silicon vendor will re-invent "the future", and, rinse, repeat. [20:05] <[Saint]> Something something 'year of the linux desktop and ARM server"
[20:06] <[Saint]> I managed to set fire to a pogoplug the other day. [20:06] <[Saint]> No idea how. [20:06] <[Saint]> found it all melted on the flor. [20:06] <[Saint]> Dripping out of the wall socket. [20:08] <[Saint]> There's NO need for 64 address space for sub-3GB RAM, really. [20:08] <[Saint]> Slightly better instruction set, but, that's about it. [20:08] <[Saint]> 64 bit is largely marketing noise. [20:09] <Tenkawa> gagalicious: what "compatibility"
[20:09] <[Saint]> Perhaps the magic world where 64bit silicon doesn't run 32bit binaries? [20:10] <[Saint]> you don't need to. [20:10] <gagalicious> i'm not confused. [20:10] <[Saint]> I assure you you are. [20:10] <[Saint]> Perhaps deluded. Mistaken at best. [20:12] <Tenkawa> how do you know its compiled for 64 bit only? [20:15] <[Saint]> fragmint: uuuugh - sounds like my week last week. [20:16] <[Saint]> I had alsamixer and pulseaudio fighting each other for my mixer card. [20:16] <[Saint]> adjust one, the other went batcrap crazy. [20:18] <[Saint]> alsa is largely fine. [20:18] <[Saint]> alsamixer is a bag of crap. [20:20] <gagalicious> pine64 is raelly great! [20:20] <fragmint> higher voltage is good! [20:20] <[Saint]> fragmint: I had my "100%" volume overdriving to +12dB. [20:20] <[Saint]> Which is very /non/ good. [20:23] <gagalicious> cant believe so many buyers for pine64... the thing that bugs me is... so many "pre-buy" for something that ships 3 months thereafter... that's kind of ... strange to me. i'm sure their price will dropped 3 months later. [20:26] <fragmint> this is driving me crazy, what was that other exynos based arm board from korea that took 2 months to ship and shipping was as expensive as the board? [20:27] <repxxl> hey, im able to get so many arduino sensors also on the raspberry pi ? [20:29] <gagalicious> fragmint: yeah... shipment is as expensive as the board... kinda stupid isnt it? [20:29] <[Saint]> God I hate the consumer market these days. [20:29] <Tenkawa> fragmint: do you mean something not samsung? [20:29] <[Saint]> So much entitlement. [20:30] <[Saint]> "Stoopid board is so expensive, and shipping it from the other side of the world is too - why isn't it $35, like raspi!" [20:31] <[Saint]> 'cos, development, from small fabs - that's why. [20:31] <[Saint]> If RPF wasn't fellating Broadcomm, the Pi would be a similar price point. [20:31] <[Saint]> errr...whoops, that's not particularly family friendly. [20:32] <[Saint]> But the point stands. [20:32] <[Saint]> The Pi is only the price it is because of the BCM relationship. [20:33] <[Saint]> I could probably do a similar thing if I was in bed with a major silicon fabricant with a craptonne of leftover stocks. [20:37] <fragmint> aren't allwinners <$1? [20:38] <Tenkawa> ah.. no idea.. did my response to your earlier question seem familiar at all? [20:39] <Tenkawa> I found arndale and hardkernel odroid boxes.. were either of those the one you were thinking of? [20:46] <fragmint> pi, you mean pi! [20:51] <mobyduck> can I actually use that to control what's shown on the TV screen? [20:52] <fragmint> does anyone know off the top of their head what would be the best resample method for pulse to use on a pi? [20:53] <mobyduck> t3chguy: any idea what exactly I need to configure? When a friend connected to it with the builtin Mac OSX vnc client he controlled the TV, but when I connect with tightvncviewer I don't. Is this a setting I need to set on my client or on the serveR? [20:54] <willmore> Adafruit has pi0 in stock. 84 units. $10 shipping, though. Limit *one*. [20:55] <exonormal> willmore: why so much? [20:57] <fragmint> is there a ghetto way to get IR input/output into a pi with LIRC and parts I may have kicking around? [21:00] <fragmint> pis have dac but no adc or is it the other way around? [21:00] <t3chguy> well, since its two channel, two DACs? [21:01] <fragmint> dont attinys have a few chans of adc on them? [21:02] <t3chguy> a full arduino? [21:03] <uriah> so is everyone here going crazy for a pi zero on adafruit atm? [21:04] <uriah> fragmint: from where? micro center? [21:10] <Idkidks> Hi again guys, I'm new, and I've gotten to the point where I put Ubuntu MATE (RPi supported) onto my microsd card. Supposedly it will format the card so I only have about 200mb left, but when I follow the instructions on the site to re-size it, it no longer boots. [21:13] <Tenkawa> doesnt ups dictate that? [21:21] <pksato> Eromenos_: Hi. jusk ask, and wait. give details. [21:21] <ShorTie> how are you doing it ?? [21:22] <Eromenos_> does that immediately signal anything wrong with the board? [21:24] <ShorTie> how are you writing the image and what speed is your sdcard ?? [21:34] <uriah> like, where is it plugged in? [21:34] <uriah> sd card slot? [22:05] <t3chguy> how many Amps you needing to pull? [22:06] <t3chguy> What do you have that even needs 100W? [22:12] <repxxl> anyone know a good website for rasp ideas that are really worth it. [22:13] <Eromenos_> hi again uriah. My flash card was definately sdf, i checked it before i used DD. [22:13] <Eromenos_> Has anyone here successfully flashed an SD card with an OS using an android phones SD card slot? [22:13] <uriah> Eromenos_: what distribution were you running? [22:14] <Eromenos_> fragmint was this with an android connected via MTP? [22:17] <Idkidks> Hey, is there any way to install *buntu from the NOOBS image? [22:31] <Eromenos_> thinking about it thats really kewl, was that easy to do fragmint? [22:34] <Eromenos_> does anyone know about how to get the details of an SD card? I have this sandisk ultra 8gb but thats all i know how to tell about it. I wonder if its incompatible and my pi isnt detecting it? [22:34] <NahUndFern> Hey guys. I'm looking to get my first pi. I was looking up about PSU, and in some comments, i see people recommend getting a USB hub PSU. Is it worth it? [22:35] <t3chguy> NahUndFern: why not just get the official one? 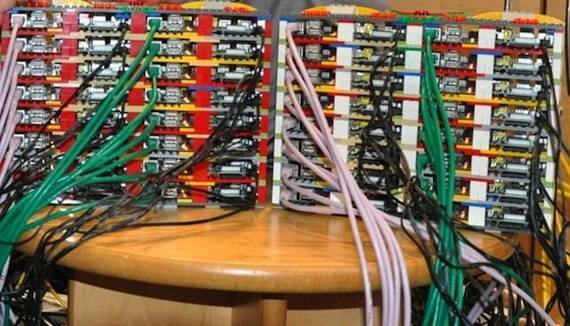 [22:35] <Eromenos_> NahUndFern i would think that is something you could look to get when you definately need extra usb ports for your pi? [22:35] <fragmint> has there ever been a documented pi fight in here? [22:36] <NahUndFern> t3chguy, Isn't the official one only available in the UK? [22:41] <Eromenos_> out of interest t3chguy , would a typical usb2 on a desktop pc be enough to power a pi? [22:43] <Eromenos_> does anyone know if its normal for the green LED to be full on without an SD card plugged in? [22:49] <t3chguy> whats the red light state Eromenos_ ? [22:51] <Eromenos_> is there a handy way to tell if the board is actually dead? [22:51] <t3chguy> Use a known-good SD Card...? [22:51] <Eromenos_> t3chguy does the video output anything without the SD card in? [22:52] <ShorTie> don't know if you can do a good flash with a smart phone, got a pc ?? [22:53] <Eromenos_> Lyka i am taking a wild shot at a guess: perhaps lower the resolution of image being displayed? [22:54] <TrekBike> Aren't there multiple ways of connecting LCDs, the DSI port, or on the pin block where the GPI pins are or HDMI or USB? [22:55] <TrekBike> I haven't done anything with LCDs yet. Just used my monitors. [22:56] <Tenkawa> Anyone running a 4.3 kernel on a pi2 by chance currently? [22:56] <Tenkawa> if so hows it running for you? [22:59] <Idkidks> Hey guys, could I get some help with the command line? I want to re-size my new ubuntu mate partition, and there's one part I don't know how to do in the instructions. [23:01] <Lyka> that is your password? [23:06] <Lyka> spybert: are you named after a dilbert character? [23:08] <Lyka> i spy or spy vs spy? [23:11] <ttys0> I think Mad still does Spy vs Spy. [23:11] <Idkidks> Wow so that was fun. [23:12] <Idkidks> Yeah does anyone have experience with re-sizing the file system for ubuntu mate? [23:24] -NickServ- This nickname is registered. Please choose a different nickname, or identify via /msg NickServ identify <password>. [23:24] -NickServ- You have 30 seconds to identify to your nickname before it is changed. [23:24] -NickServ- You are now identified for DataBot. [23:24] -MemoServ- You have 2 new memos. [23:44] -NickServ- This nickname is registered. Please choose a different nickname, or identify via /msg NickServ identify <password>. [23:44] -NickServ- You have 30 seconds to identify to your nickname before it is changed. [23:44] -NickServ- You are now identified for DataBot. [23:44] -MemoServ- You have 2 new memos. [23:50] -NickServ- This nickname is registered. Please choose a different nickname, or identify via /msg NickServ identify <password>. [23:50] -NickServ- You have 30 seconds to identify to your nickname before it is changed. [23:50] -NickServ- You are now identified for DataBot. [23:50] -MemoServ- You have 2 new memos.